Dandruff is a common hair problem that almost every person has perhaps experienced in his lifetime. It doesn’t really depend on ethnicity age or gender. It is a problem that isn’t just confined to the scalp; it might also affect areas such as chest, beard, sides of the nose, eyebrows, ears etc. So, basically any area with hair on it can be affected by dandruff. It is also referred to as seborrheic dermatitis and seborrhea. Well, a lot of people experience flare-ups only occasionally, and a lot of others are simply more prone to this problem. Dandruff appears like dry flaky skin on the scalp which is sometimes accompanied by an inflamed skin that appears red or pink. When dandruff is more intense, it causes itching or burning, which compels the sufferer to keep scratching the scalp. Curing dandruff completely is not easy, but its management is very much possible. So, with proper hair and skin care and hygiene, you will be able to keep this problem pretty much under control. Although a lot of people believe that dry skin is the main reason why people develop dandruff, this isn’t really so. In reality, dandruff often gets caused by a variety of yeast, known as Pityrosporum Orbiculare. This yeast feeds on the oil secreted by human scalp, and when it overgrows, it causes dandruff. And that is probably the reason why people with oily scalp are more prone to developing this condition. So, if you are someone with a lot of scalp oil, then it’s likely that you are harbouring this organism. If the condition is mild, then it will clear away with a little care and attention. You can also use home remedies to treat dandruff. And for fast results, you can wash your hair with some medicated dandruff shampoo. The second most important reason behind dandruff is stress. Dandruff is a sign that you are extremely stressed out and you just need to sit back and relax. As a matter of fact, any skin condition can get aggravated because of stress. This happens because stress makes your immune system go out of whack. And that is the reason why experts link dandruff directly with a stressful life. Even if you have mild dandruff, then a phase of stress in your life can simply cause it to get flared up. The problem gets worse when itching is one of the symptoms. Itching causes an itch-scratch cycle that is hard to address. So, basically, dandruff causes you to itch your scalp, and when you do so, new flakes from the skin of the scalp come off, resulting in more dandruff. So, the best way out would be to take measures so as to feel relaxed. Now, there are many ways to relax your body and mind; one of which is regular practice of yoga. A lot of people say it is important to keep your scalp moisturized with the natural oil it secretes, in order to keep the hair growing in a healthy way. The people who say so, definitely don’t take into account those having the problem of dandruff. People, having dandruff, cannot stay for long without washing their hair. When they do so, their condition gets aggravated. Hence, if you have dandruff in your hair, you must shampoo your hair regularly with a good medicated shampoo, as frequently as is possible. 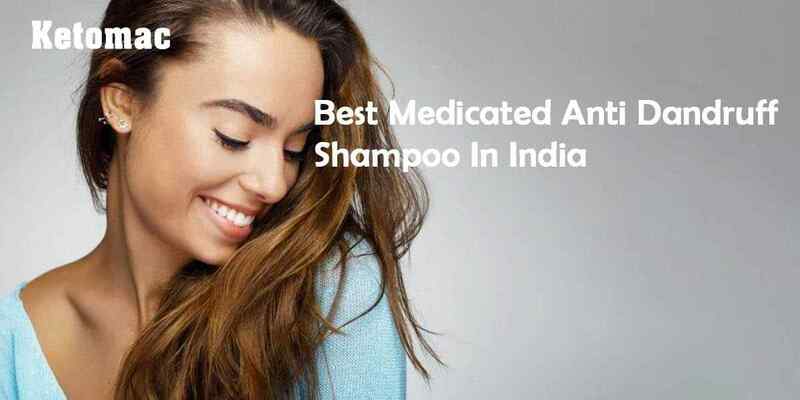 Don’t worry, there is available medicated anti dandruff shampoo India. Keep in mind that dandruff develops when there is a build-up of sweat and oil on the scalp. So, washing off the excess oil is of high importance. One thing that you must always remember is that not rinsing the shampoo off properly often causes more complex problems. Any shampoo residue on your scalp can act as a breeding ground for the microorganism that causes dandruff. Whether it is your hair or your skin, if you want to keep it healthy, you must take care of your body from within. You might not develop dandruff by eating food, but if you have got dandruff, then certain food items can cause flare-ups. Any food item that is rich in trans fats and saturated fats could make your sebaceous glands to secrete more oil which might cause your problem to reach a more serious level. Try to have a diet that includes food items having healthy monosaturated fatty acids. Some of the best sources of these fatty acids include safflower oil, olives, nuts, avocados etc. If your body is deficient in Vitamin B complex, then too you could be prone to this problem. 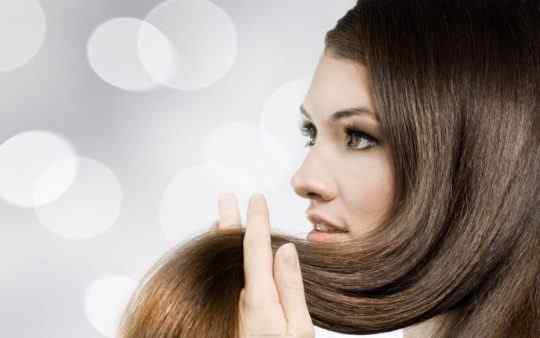 Vitamin B complex, after all, forms the basis of hair cells. So, try to eat as much of food rich in vitamin B complex as possible. Common sources include bananas, eggs, rice, and oatmeal. Another common cause of dandruff is over styling your hair. There are lots of hair products available in the market that do not create a conducive environment for your hair to stay and grow healthily. Since the residues of these products on the scalp create problems like dandruff, try to stay away from mousses, styling gels, hair sprays, etc. Do so, especially if you think hair styling products are the prime reason behind your growing dandruff. Coconut oil is extremely nourishing for your hair and scalp and when you mix it with lemon juice, it becomes an excellent medication. Lemon juice can treat dandruff effectively, so mixing it with coconut oil will help you ward off this problem. To go about this solution, you will first have to heat coconut oil in a pan. Make sure you take only 2 tablespoons of it. Then add an equal amount of lemon juice to the pan. When the mixture cools down, use it to massage your scalp in a gentle manner. After you are done, leave the oil for 20 minutes, and then rinse your hair off with some good shampoo. Fenugreek is not just good for your hair but also your scalp. To prepare a fenugreek pack, you will have to soak a couple of tablespoons of fenugreek seeds in water overnight. Grind the seeds into a fine paste. Apply the paste on to your scalp and leave it on for an hour. Rinse it off with a mild shampoo. Doing this regularly will yield great results. Applying curd on your scalp sounds a little messy but it is an extremely effective remedy. Take some card in a bowl; apply it evenly on your scalp and hair. Let the curd sit on your scalp for an hour, and then wash it off with a good shampoo which is mild in nature. Have you tried out baking soda yet? You can easily treat the problem of dandruff with baking soda. To apply baking soda on your scalp, you will first have to make your hair and scalp a little wet. While it’s wet, rub a little baking soda on to the scalp, preferably a spoonful. Wash it off after you have left it on for about 60 to 90 seconds. Tea tree oil is an amazing way to bid adieu to dandruff. Now, the question that arises here is- how to apply it? Well, applying it is extremely easy- all you have to do is pour a little tea tree oil onto your scalp and massage gently. Make sure you don’t take more than a few drops of this oil. Let the oil sit on your scalp for 5 minutes so that it gets soaked. Follow it up with a good wash with some mild shampoo. Although there are many anti dandruff shampoo brands available in the market, you should only trust a medicated brand that vouches for its quality. And when it comes to quality, Ketomac shampoo stands uncontested. Ketomac, in fact, is the best anti dandruff medicated in India available, and has ketoconazole in it. Ketoconazole is a synthetic broad-spectrum antifungal agent that helps removes dandruff from your scalp. This element is present in a concentration of 2% in an aqueous suspension of the shampoo. For proper application of the shampoo, you will first have to make your hair and scalp wet. Add a little amount of the shampoo onto your scalp and massage thoroughly, so that good leather gets formed. Before rinsing the shampoo off, you will have to let it sit on the scalp for around 5 to 10 minutes. By using this shampoo twice a week, for around a month, you will get good results. After you have seen improvement in your condition, you can make use of the shampoo once a week, so that your dandruff doesn’t come back. Don’t stop using the shampoo entirely, as that could cause your symptoms to reappear. Now, that you know the causes of dandruff and various solutions to treating it, there is no reason why you should continue to suffer from this problem.